The Crazy Coqs is a live entertainment space with a varied programme ranging from cabaret to jazz. Bar Americain and Crazy Coqs will available for hire between 11.30am-5.00pm. 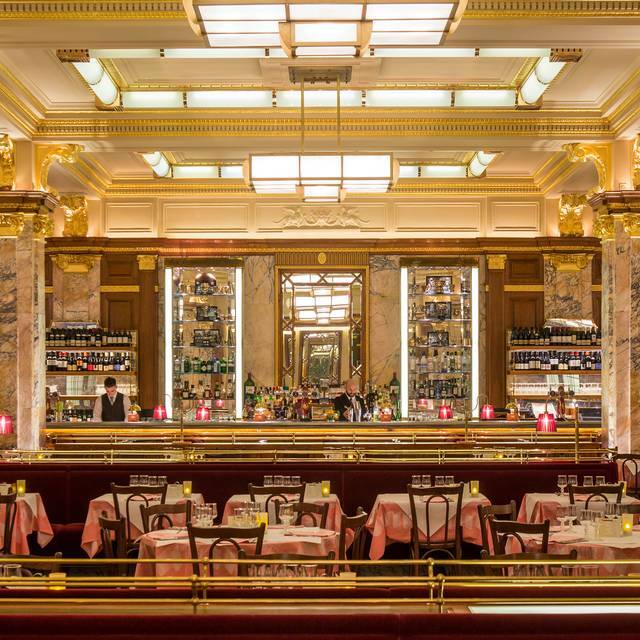 A large, bustling Parisian brasserie transported to the heart of London. Open throughout the day, offering great value with remarkably low prices, its glorious, historic Art Deco interiors also play host to a 'Bar Américain' and 'The Crazy Coqs', a live music and cabaret venue. An impressive excellent evening food and band entertainment. The place was full however My only critique would be that at times it was noticeable we were looking and hanging around for a waiter to attend to us and though it was busy we were on the menu formule which we thought would be easier prepared and served. But it did not spoil our evening. Fantastic value ‘formule’ menu. High quality cuisine, faultless service & fun atmosphere in a lovely space. Great food at a very reasonable price for central London. Wanted to try for a while - didn’t realise was underground and felt it! Lovely service, decor and food - good value! The menu is rather tired and compared to some chains (like Cote Brasserie) lacks style and a contemporary twist. The venue though is stunning and service good. food and atmosphere great. Not sure the service merited the 15% charge added to the bill. This is one of my favourite places in London. The venue is gorgeous, immersing diners in an undeniably French style harking back to the 1920s. The menu is very French but slightly uninventive. The staff is pleasant and polite, but the Eastern European style of service (although very good) tends to fall short the 'frenchness' of the food and setting. The crowning jewel of my visits to Brasserie Zédel is invariably the live music. This is time-travelling from 21st-century central London to 1920s Paris in style! Really good evening, fantastic venue, great food and service. This is an amazing building with great facilities. Well worth a visit. Whether we ordered from the set or main menu everyone in our group of 6 very much enjoyed the food. The fish from the set menu was especially good. Excellent service. Wonderful art deco ambience. Comfortable booth. 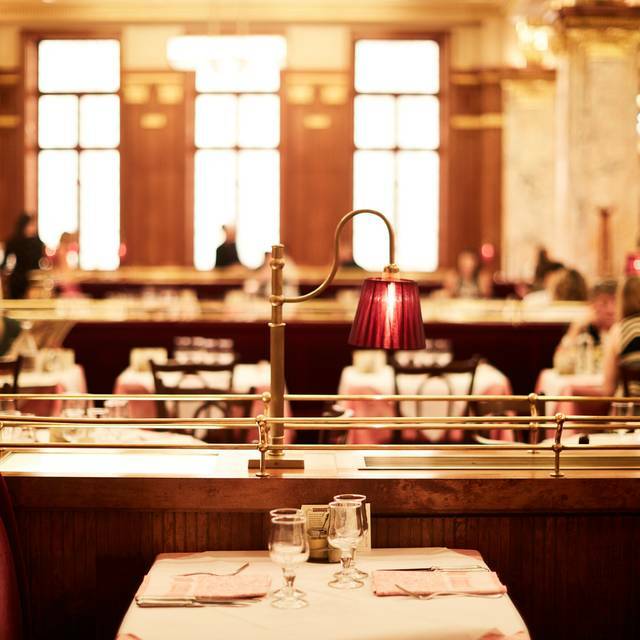 Zedel is the perfect venue to catch up with friends. It is freezing cold in the restaurant, food turned to cold dish in 5 mins. Won’t go back again. I really enjoyed the ambience and the decor of this restaurant. From the moment you step inside, you feel like you have entered 1920s art deco French era. Food was delicious and authentic French cuisine with friendly staff. Food was much as I expected from a Brasserie. Two of us had the lamb rump, and another the spatchcock which were ok. It’s a 2 hr turnaround which was disappointing and at 2hrs 5 mins we were asked to vacate (very politely tbf). Wish restaurants wouldn’t do that. As one of our guests was late the meal felt rushed. Worth going for a pre- or post theatre meal but not for an experience. I've reviewed this venue before, a good value for money restaurant. Three of us on this lunchtime meet, ordered a large tanqueray G & T for pre-lunch drinks, not certain whether I got what I ordered as the spirit tasted virtually of water with a splash of gin, the barman made this drink at the other end of the bar so couldn't see how it was put together. Anyway, food, the chicken liver pate comes up pink for some reason, tasted ok but should have been removed from the fridge about 10 minutes before service. Rib-eye was again ok, a bit chewy in places but overall the food was nice and washed down with a bottle of house-white and a large carafe of house-red all was well. Service was very good and the price at around £70 per head including tip, represents good value in this part of London.. I shall return. Great food, service and ambience! Sadly the food was very below par and salty. The Sauvignon Blanc tasted like a very cheap house wine. Brasseried Zedel is a well oiled machine. Very efficient, excellent as a pre-theatre choice as service quick though not terribly personal. Food is very good and excellent value for central London. Venue terrific. Would recommmend. The set menu was good value, but the food wasn’t the finest, fairly plain and overly salty. We ate at lunch, and it took them over three hours to serve three courses, we had to wait a long time between dishes. When the coffee arrived at the end, the large cafetière was half-filled with coffee grounds, far too much! The coffee was almost undrinkable. But the ambience is great! Always a good experience to go here but having just returned from Belgium, the food could be better and the service was at best sultry, one of the waitress looked like she had not slept for days or had a long party night before starting her shift. 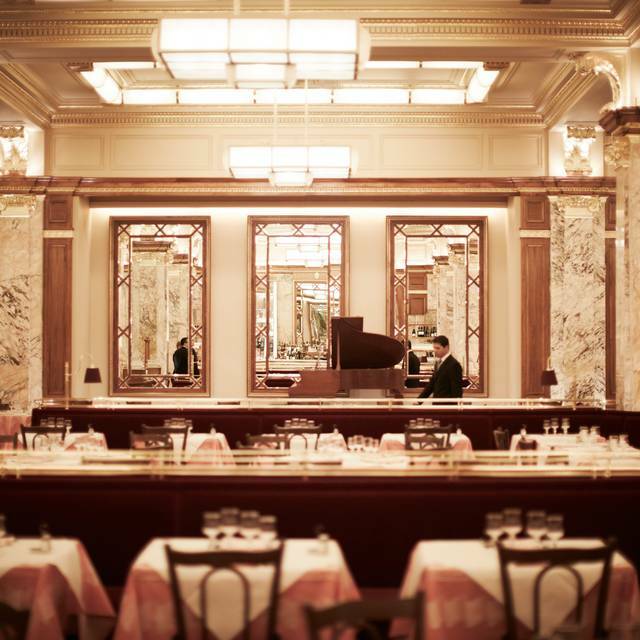 Zedel is a great spot for lunch when you want to impress. The menu is French and varied with also a set fixed prix lunch which is good value even if there is one choice. Really do like Brasserie Zedel. They have a 'formule' approach and it works well. The room is magnificent and has bags of atmosphere. The service is attentive and prompt. The fixed menu approach works well and you get a classic brasserie menu (and experience) in London. This is not gourmet dining but nor would you want it to be. The price is reasonable given all of this. Our visit included 2 birthdays and although a large restaurant, we were made to feel special when a chocolate written plate was brought out with our names and 2 macarons. Food was great and so many variations of menu to choose. Lovely food at somewhere we go fairly regularly, however the service was poor, which is very unusual, compared to previous visits. Our table was available for 2 hours, however it took almost 1/2 hour to have our drinks and food order taken, so we were getting very close to the end of the 2 hours and had only just finished our main courses. Excellent meal and service. We were celebrating a special occasion with family and they made us feel very special. Thank you! Wonderful place. Fantastic price. Perfect experience. The ambience is fantastic but food is very average. My fish stew and my partner’s fish were over cooked and overall the experience was disappointing. I wouldn’t go back. A good lunch with friends if a little expensive! The Lobster Bisque was lukewarm again! And the price of the dessert wine was ridiculous! Hence we didn't have any! 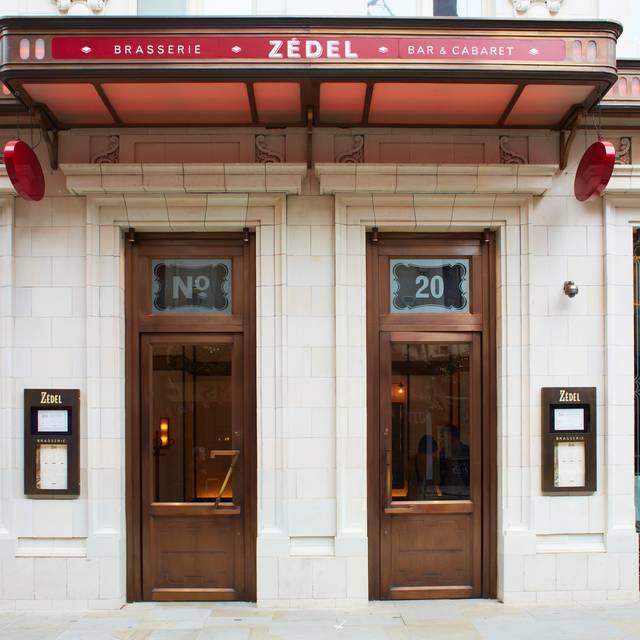 For a great dining venue, close to theatre-land, offering a moderate-sized, apporopraitely-priced menu of good quality ingredients, and a table for two that was ideal in location and ability to converse, there is no better place than Zedel. it is not a place to have a quiet relaxed dinner. It is a 'scene' and good for groups. The food was nothing special... in fact mediocre. Zedel is a brilliant gem in the midst of tourist hell. The food is remarkably good and incredibly well priced. The atmosphere is great and the service is always excellent.